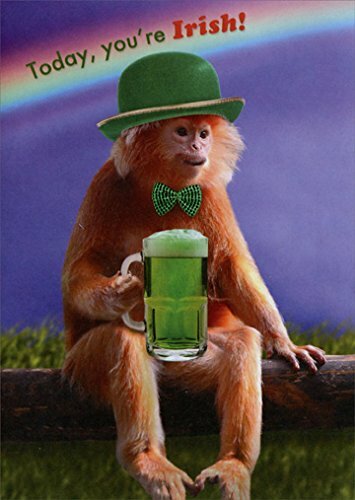 The interior of this Designer Greetings st. patrick's day card design reads: Tomorrow, you're Hungover! Happy St. Patrick's Day. The card measures 5x7 inches and is printed on heavy cardstock. Includes 1 card and 1 envelope. The card has the following special features: embossed, green foil. From the Expos line of cards.